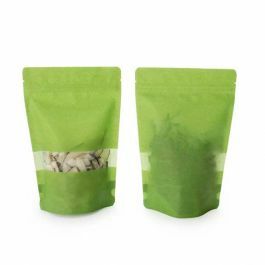 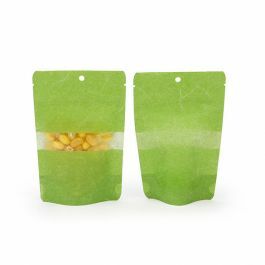 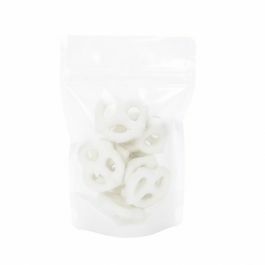 Our rice paper zipper pouches are ideal for packaging non-refrigerated items. 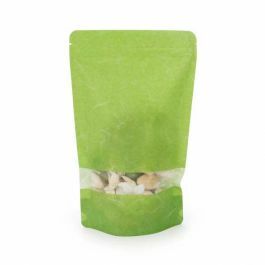 ZBGR1GRC is our 3 1/8" x 2" x 5 1/8" green rice paper pouch that holds 1 oz/28g. 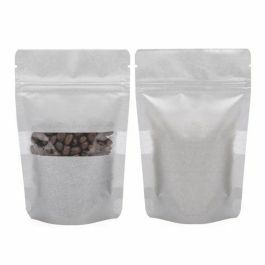 Package individual size servings of tea leaves, coffee beans, candy, powdered mixes, and more. 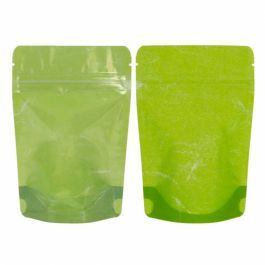 The clear front panel and bright green material provide an eye-catching display to get your products noticed on retail shelves. 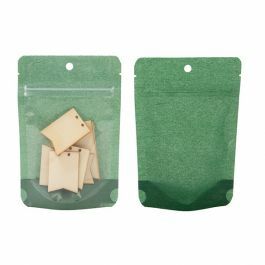 The interior of the pouch is laminated for extra strength to keep your contents fresh. 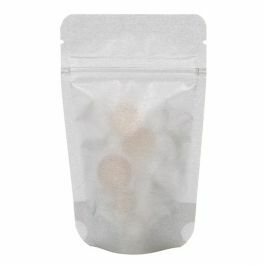 A unique fiber pattern creates a memorable presentation, while the airtight zipper closure and tear-away notches provide high functionality and convenience. 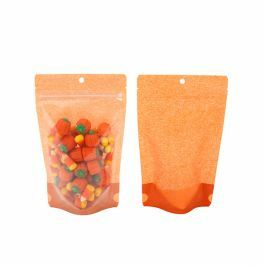 The tear notches are located above the zipper and provide an easy opening when this pouch is heat sealed. 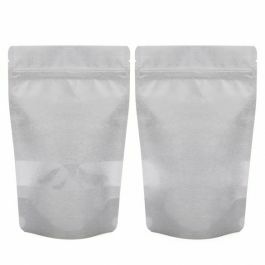 Please note that all volume & bag sizes are estimates and are based on tests using whole coffee beans.Free samplesfor testing available upon request.